Summer brain drain is real: every year, kids are proven to fall behind on academics every summer. That means that when it's time to head back to school your child isn't learning so much as they're re-learning as teachers spend the first few weeks of classes teaching last year's material. But you can help your child keep up by encouraging year-round learning, with programs, toys and summer camps that aim to educate — while having some fun, too. When it comes to learning, nothing beats hands-on experience, with personalized instruction and even the chance to socialize with other kids who are just as excited about learning. Some summer programs require advance sign-ups (so now's the time to sign up for after school programs if you want to boost your child's school-year learning), but there are plenty of classes to be found. Best of all, some of them are even free. If you have an Apple Store nearby — and most major metropolitan areas do — they offer workshops for all ages. But what you're interested in is Kids Hour, which offers programs on coding as well as creating digital music and art. The classes and schedule vary, but you can check the schedule for your local store and sign up online. Don't worry: there are options for Windows fans, too, because Microsoft Stores offer their own kids programs. Like Apple's classes, the exact lineup of activities varies, with high-tech classes focused on coding — which teaches with Minecraft — as well as art and even business. Classes are free, but you do have to RSVP so check the schedule online to sign up. Sylvan, which does tutoring and test prep, also offers STEM classes and camps for kids ages 5 to 15. The focus is on fun, teaching robotics with Legos, coding by making games, and engineering by building their own superstructures inspired by real buildings. Prices start at $95 but can go into the hundreds for longer camps. Look up your local Sylvan to find a list of classes available. 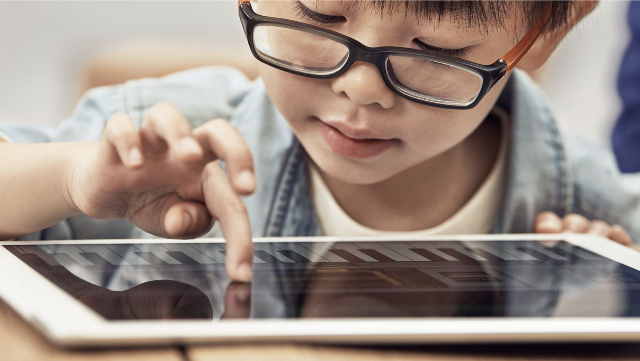 If there aren't any convenient local classes — or you just want to add a little more to your child's summer routine — there are plenty of online classes to help them learn coding, math and more. 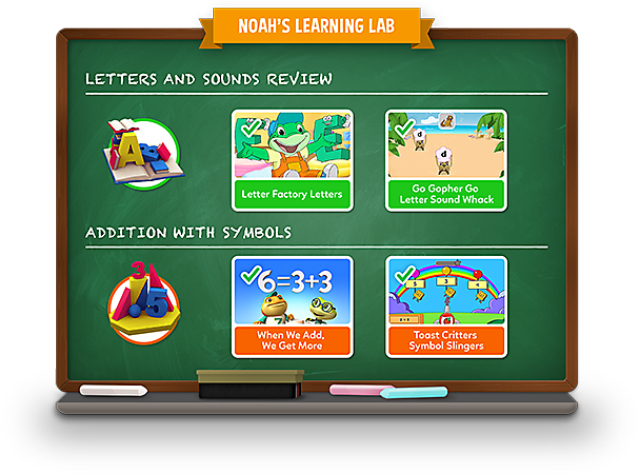 For the youngest learners — ages 3 to 6 — LeapFrog Academy offers a colorful game world for them to explore and learn. LeapFrog Academy creates a learning adventure for your child, built from over 1,000 activities to boost your child's mastery of core school subjects as well as social and emotional skills. The program adapts based on how your child performs, offering additional games to help them in the subjects they're struggling with — and parents can keep tabs on their children's progress along the way on their own parent dashboard. 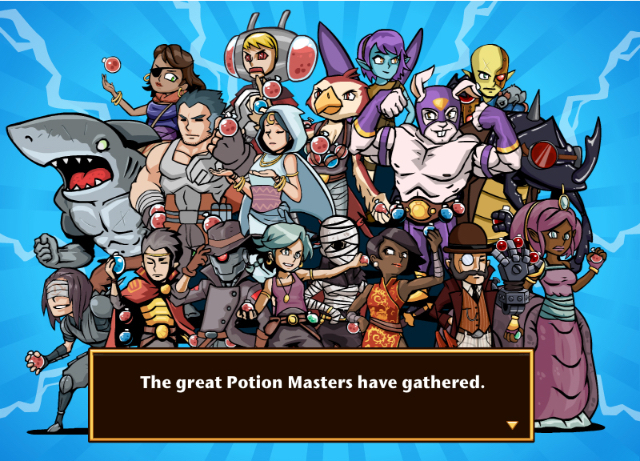 Rewards and collectables, from new outfits for their character to dinosaur bones, keep kids motivated. 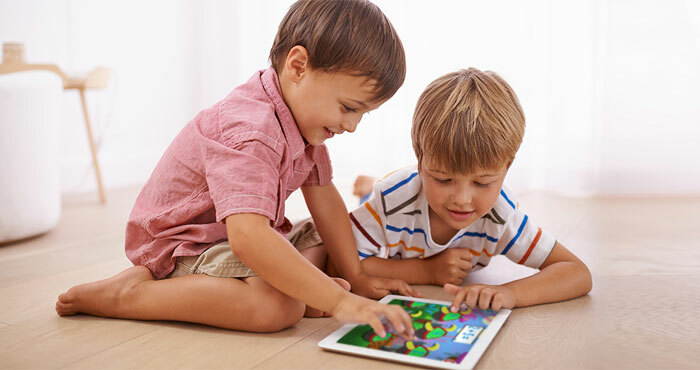 Kids can play LeapFrog Academy on the computer or on Android, iOS or LeapFrog Epic devices (but not Kindle Fire tablets, though support is coming this fall), and mobile users can download up to 24 games to play on the go. You can sign up for a one-month free trial to check it out, but after that, the service has a monthly subscription. Price: $7.99/month after a one month free trial, $5.99/month for LeapFrog Epic Academy Edition owners. This coding class is used in elementary schools around the country, but Kodable's web-based programming course can be used at home, too. 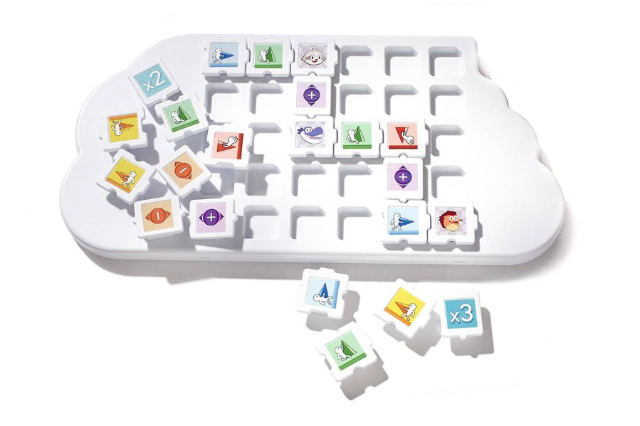 Its colorful games and logic puzzles teach basic coding concepts for kids ages 5 to 10. And don't worry if you aren't a coding expert yourself: Kodable helps you understand how your child is doing with progress reports and learning resources. You can give it a try and play the first few levels for free, but to unlock all 160 levels, you'll need to pay $6.99/month or a one-time payment of $29. If your child is interested, the one-time payment is a steal. Though this web-based programming course is very similar to Kodable, Codemonkey is designed for slightly older kids, ages 9 and up. 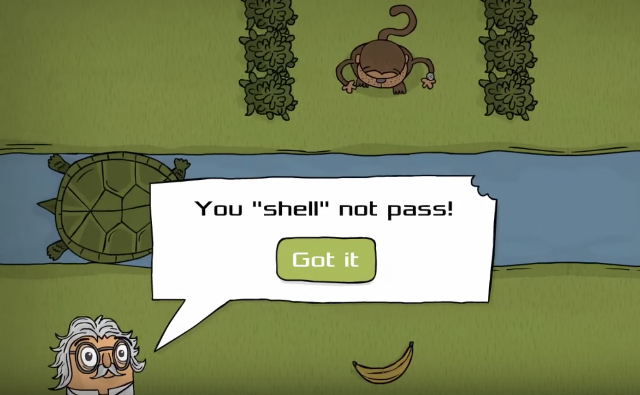 In it, kids control a monkey chasing bananas, telling him how to navigate the game world using lines of code. And while Codemonkey is for beginners — neither kids nor parents need any previous programming experience — it gets kids using a real programming language from the very first lesson, meaning your child is picking up practical skills from the start. 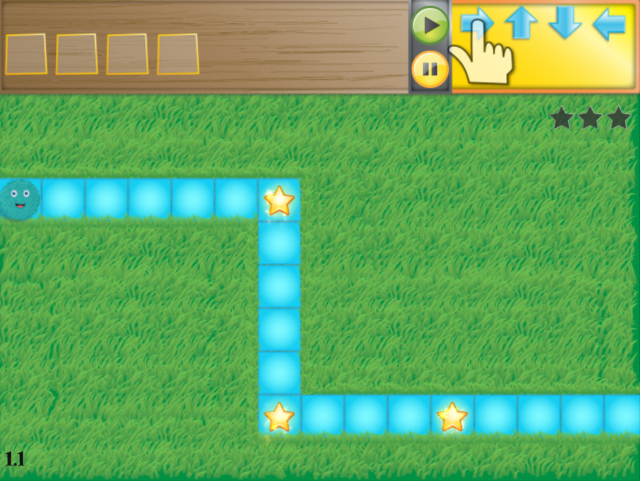 The game features 400 challenges and, once your child learns the ropes, they can make games of their own with the game builder. You can try the first 30 challenges for free, but if your child is interested in continuing there's an annual subscription fee of $39/year. It's rare to find a child who enjoys math class, but Math Snacks is here to help. Designed for kids age 8 to 12, Math Snacks is a collection of games and animations to boost kids' math skills — and a study of over 700 students showed it improved kids' math skills. Your child can play all of the games and videos for free on the Math Snacks website, but a handful of games are also available for iOS at $1.99 each. Kids ages 8 to 15 will have a blast at these online summer and after school camps, which use Minecraft to teach animation, coding, engineering and game design. All classes are taught entirely inside Minecraft, and even if you don't sign up for a camp, kids can join the Kid Club Minecraft server which hosts free activities and challenges. The online summer camp classes last five days, with two hours of activities every day, for $99. Like video games, toys can be great teaching tools that let kids learn without realizing they're learning. This stationary trike, for kids age 3 to 6, lets them play games with pedal power. 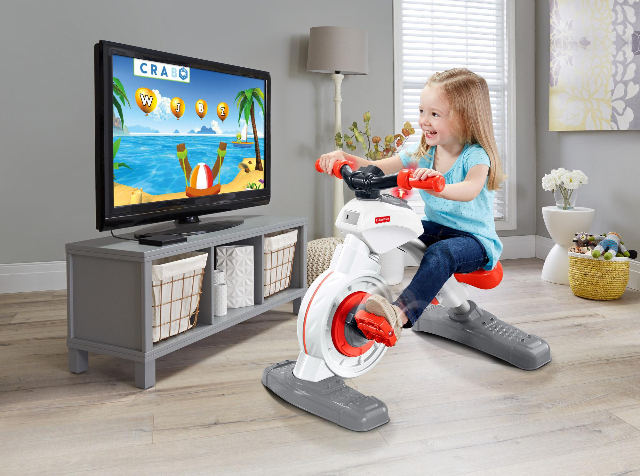 The faster they pedal, the faster the on-screen action with a range of games that teach letters, reading, phonics and more. You do, however, need extras to make this trike go: the games themselves run on a tablet (Android or iOS) or television (via Apple TV, Amazon Fire TV, or Android TV), which link to the trike via Bluetooth. Chances are you already have one of these at home, so the Smart Cycle should fit right in. This puzzle game is designed to teach math, coding and art for kids age 5 to 7. Just fire up one of Puzzlets' free games on your tablet (Android or iOS), and then your child snaps pieces onto the game board to solve puzzles. The game board adds a new dimension to your standard educational game, combining hands-on play with a colorful digital environment. Depending on your child, you may find Puzzlets is a better solution than similar programs like Kodable and Math Snacks. While standard Legos allow your child to explore their creativity — and even learn some engineering skills — by building crazy creations, Lego Boost adds coding and robotics to the agenda. 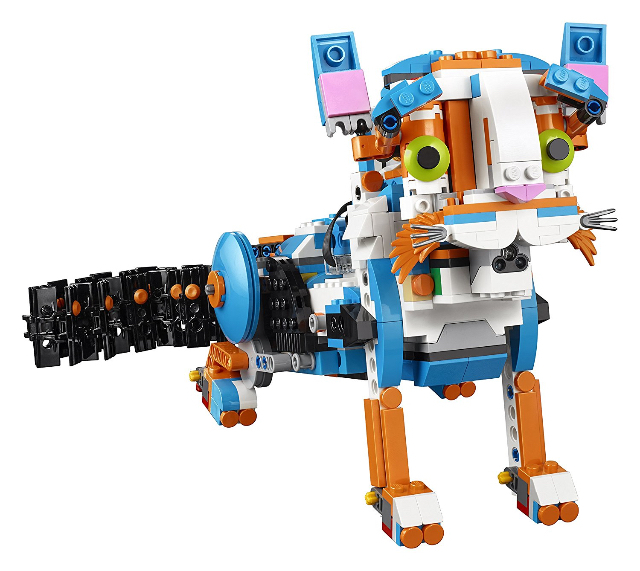 The Lego Boost kit, for kids age 7 to 12, includes 840 Lego pieces as well as everything for your kids to bring their creation to life, as well as instructions for building five different gadgets (though they can always create their own). The companion Lego Boost app lets kids program their creations to do specific things, teaching basic coding logic by dropping different code segments into the right order — and then letting them see how they play out with their robot. 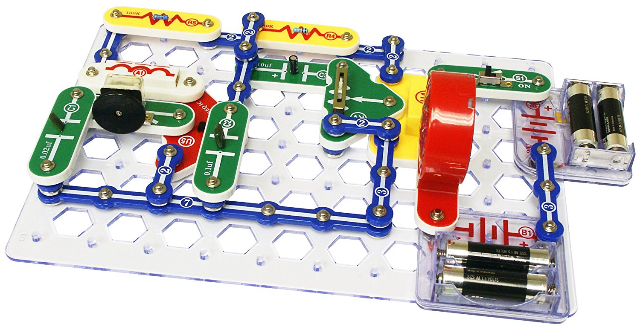 These kits teach kids ages 8 and up electrical engineering with brightly colored pieces that easily snap together — no need to mess with wires or soldering. The basic Electronics Discovery Kit includes 60 pieces which can be used to build over 300 different projects, from an AM radio to a burglar alarm. Color-coded pieces and diagrams make it easy to put projects together, and the projects get more difficult as kids work their way through them, so there's always a new challenge. Can chemistry be fun? The Happy Atoms modeling kit says yes with this snap-together kit that allows your child to build a variety of different molecules. 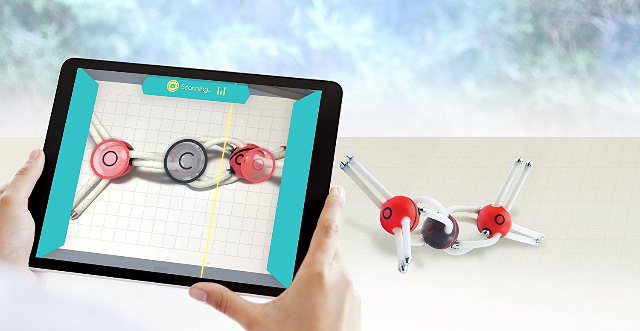 Once your child has built their molecule, you can scan it using the camera of your iOS device to give you more information and organize discovered molecule into the virtual World of Molecules. Pick up the introductory set ($54) to build 508 different molecules or the complete set ($119) to build over 17,000 different molecules. It's a great way to give your older child (ages 10 to 17) a hands-on way to explore the building blocks of the world around them.